Americans are justly proud of the role the United States played in liberating Europe from Nazi tyranny. For many years, we have celebrated the courage of the Allied soldiers, sailors, and aircrews who defeated Hitler's regime and restored freedom to the continent. But in recounting the heroism of the 'greatest generation,' Americans often overlook the wartime experiences of European people themselves-the very people for whom the war was fought. Hitchcock gives voice to those who were on the receiving end of liberation, moving them from the edge of the story to the center. 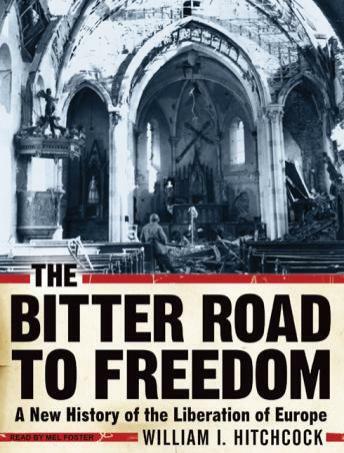 From France to Poland to Germany, from concentration camp internees to refugees, farmers to shopkeepers, husbands and wives to children, the experience of liberation was often difficult and dangerous. Their gratitude was mixed with guilt or resentment. Their lives were difficult to reassemble.